Yes people, you read it right, there is finally a DIY recipe for the highly coveted GLAMGLOW face mask. If you haven't read about it online or in magazines yet, beauty critics all over are raving about this cleansing face mask. Just do a quick Google search or read the reviews on Sephora.com to find out what everyone is saying! So first off, let's clarify the different types of masks. 1. 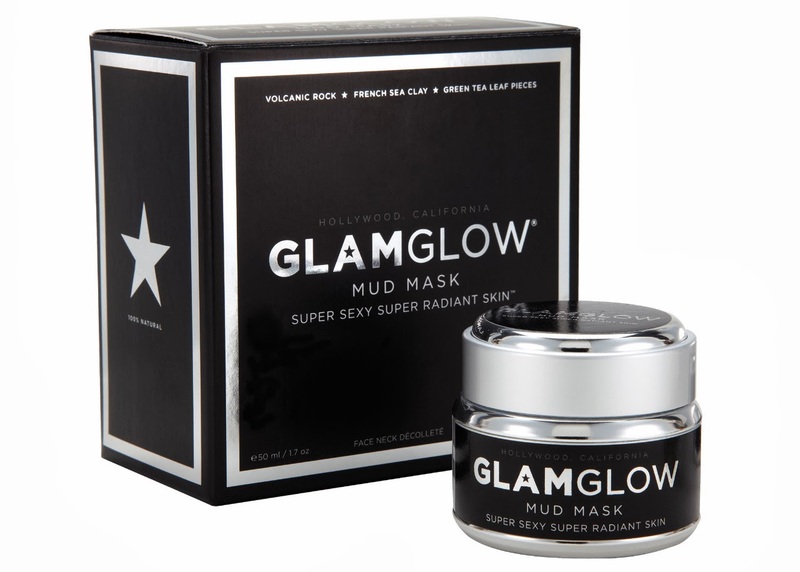 GLAMGLOW YOUTHMUD - this is the original tingling mask made to cleanse, exfoliate, refresh, and brighten up maturing skin. It comes in a black container and some of the key ingredients are clay, pumice rock, and green tea. $70 for 1.7 oz!!! 2. 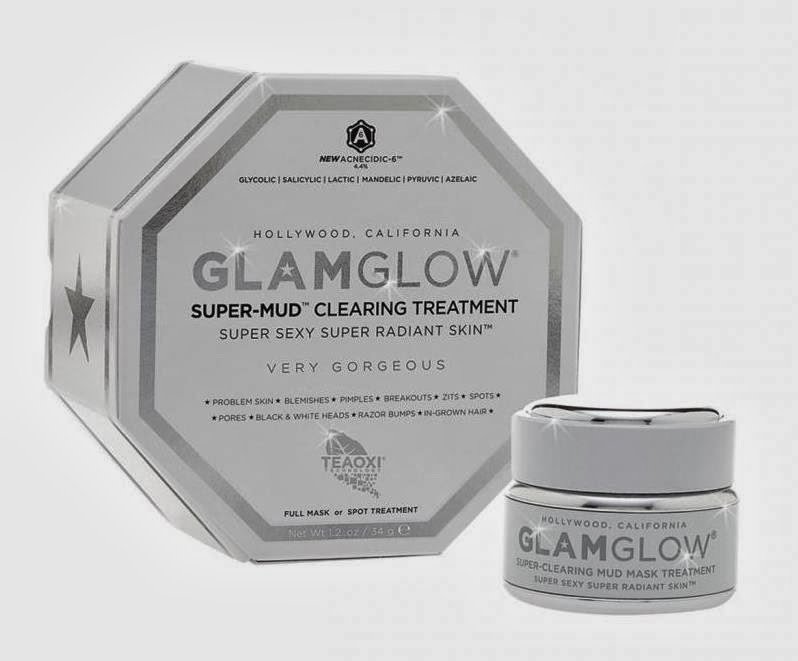 GLAMGLOW SUPERMUD - this version was created more recently for younger skin to target common problems such as acne, clogged pores, scarring, discoloration, etc. This one comes in a white container and the key ingredients are charcoal, clay, eucalyptus, and some acids such as salicylic and glycolic acid. $70 for 1.2 oz!!! 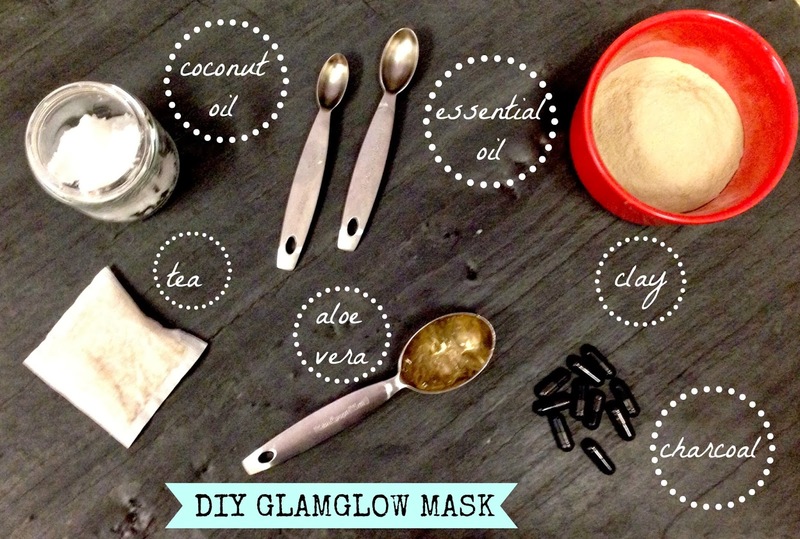 This DIY is for the super-mud mask, keep on reading for some options on the youthmud mask. Not only is this mask wayyyyyyyy cheaper, it is also less harsh and less drying than the original. Plus, you don't have to worry about any sketchy ingredients. Seep 1 chamomile tea bag in about 4 oz of hot water and let it sit. Melt coconut oil (I used Spectrum Virgin Unrefined) into liquid. In a bowl combine all of the ingredients except the tea and whisk together. I recommend using Aztec Secret Bentonite Clay. You can find Activated Charcoal in any store in the vitamin section. Cut the capsules in half and dump the charcoal powder into the bowl. Slowly begin to add the cooled tea and continue to whisk until you get the correct creamy texture (I used 3-4 oz). Spoon mixture into a glass container and let it sit in the fridge for about an hour. Store in a cool dark place or preferably in the fridge if you don't plan on using it within 1 month or if the temperature in your house is fairly warm. I was going to try to make a DIY version of the Youthmud mask, but after trying out the real thing, I decided against it. While it did make my skin look bright and clean, the pumice was way too harsh, the giant pieces of green tea leaf stuck to your face were a bit ridiculous, and it was extremely drying. 1. I highly recommend Philosophy Microdelivery Exfloiating Wash. Follow with Alba Aloe & Green Tea Moisturizer to get the green tea benefits. 2. 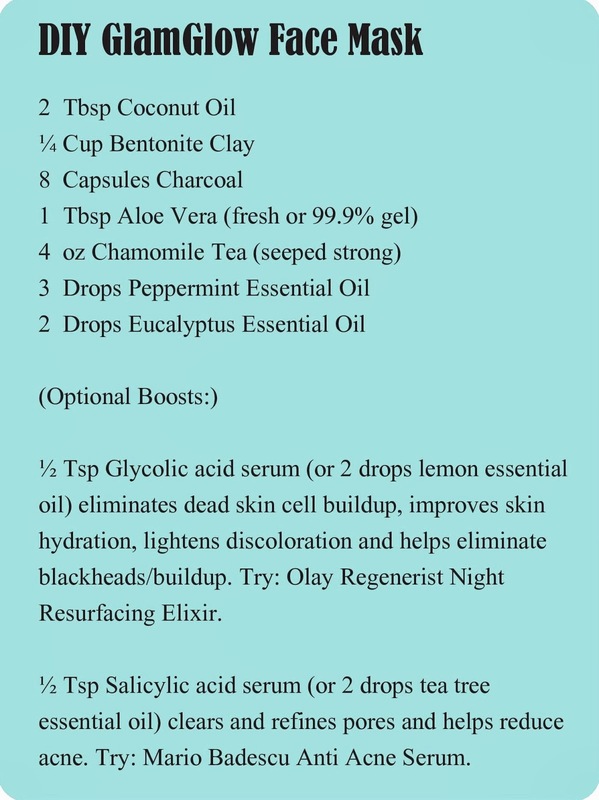 Follow my recipe for the Supermud mask, but swap green tea for chamomile and add 2 tbs brown sugar (though this may make it mold quicker so be sure to use it up and store in the fridge), and use 3 drop chamomile essential oil and 2 drops lavender essential oil instead of the ones listed. I am getting ready to make this mask, ordered the charcoal and all. My question is how long of a shelf life does this have? If i make a batch of it as a gift or something how long until it gets all dry and unusable? I don't see why this would go bad, considering there are no ingredients that really spoil. Only issues I could see is melting (coconut oil) or drying out if not sealed correctly. Mine has kept perfectly for over a month. I also keep mine in a glass container. You won't be disappointed!! I take back what I said! So now that the weather has warmed up a bit one of my unopened jars molded (lasted about 2 months). So I would say definitely store in the fridge if you don't plan on using it within a month and/or if you don't have a cool dark place to store it. Try adding some Rosemary Oleoresin Extract, you can find it online. It keeps oils from spoiling and molding. I use it in making my soaps and body butters. It's a natural preservative. How much extract would you recommend adding to this particular recipe? Anything that has water requires a preservative. Short shelf life. Oil based products do not. Wonderful thank you for the response! Im excited to make this tonight! I found all the ingredients at The Vitamin Shoppe. I am wondering though if you should keep this refrigerated or not? Thanks so much for coming up with this, i was not willing to pay $70 for a small jar of the real stuff lol. Hope you like it as much as I do!! It has been working great for me. Coconut oil melts around 70 degrees I believe so as long as your house is cooler than that you should be fine, but refrigerating it wouldn't hurt. Mine has kept beautifully just in my cabinet. Does this draw the oils out of your pores similar to the glamglow? It does a little bit. I do get tiny little oil dots here and there but it definitely wasn't as noticeable as with GlamGlow, however, I also felt that this version is much less drying. After I rinse it off my face feels and looks super clean/smooth/clear but I wasn't desperate for moisturizer like with GlamGlow. To prevent the mold issue on water products such as masks it is recommended that you purchase Germaben II E to extend the shelf life. How much would you recommend adding to it? I'm giving it as gifts so I'd like it to last as long as possible. Thanks for sharing! I can't wait to try this. What kind of charcoal capsules do you recommend and where is the best place to find them? Buy activated carbon. It's the technical name for activated charcoal. Get it at Walmart for $6. It's what they use to filter brita bottles and fish take water. Go to the pet section, not the vitamin or kitchen section. I used Nature's Way (link is in the directions), but any one you buy from a health-food store or even your local drugstore (CVS, Walgreens, Walmart, etc) should work. Sounds awesome! Coconut oil doesn't agree with my skin, though. What could I use instead or should I just boost up the aloe vera? I would definitely still use an oil because that's what keeps it from getting excessively dry. I would use Grapeseed Oil instead. It's great for sensitive and acne prone skin. I agree with the grapeseed oil. Or safflower oil. After using this for awhile, would you say that this give the same results as the original? Has it helped improve your skin? Yes, I would def say the end result is the same. The more I use it the more I am convinced that the charcoal and clay are the major beneficial ingredients here and even making a paste with water would give great results (although that would be super drying). It's hard to say if this alone has improved my skin because I changed my entire routine at once. The routine that cleared my face can be found here: http://www.thetwistedhorn.com/2014/05/all-natural-acne-solutions.html I really think that the best thing you can do to improve your skin is be consistent. Find what you like and stick to the same routine everyday/week. How does this compare to the original GlamGlow? If I gave it to someone who loves masks or has used Glamglow, would they be impressed? Thanks for this! I think there are a few things that make it BETTER: price obviously, convenience of making it whenever you want, you can slather on as much as you want, and I like that it made my skin SOFTER and it wasn't as DRYING and the real GG. Some cons compared to real GG: it doesn't keep that well since it contains no preservative and it doesn't create those little oil/extraction dots that the real GG does. All in all I stopped using GG and started using this and I am happy with it. I would suggest either grapeseed or rosehip oil since those tend not to breakout skin, but if you aren't acne prone any oil should work. I have the same question too as Nicole Pilgrim :) I am not allergic to coconut oil but I am skeptic about using it because the smell might interfere with the other essential oils... How about Jojoba oil? Is Grapeseed oil better? :) This is great! I am excited to try this! I prefer grapeseed to jojoba just because I have had better results not breaking out with grapeseed, but any oil that you know works well with your skin should work fine in this recipe. I made this using very fragrant, unrefined coconut oil, and instead of the recommended oils I used lavender and tea tree, and I can't smell the coconut at all. The smell is very pleasant and not too strong. So good! I definitely spent the $70 on the original and it dried out on me. :( I'll definitely be trying this soon! I usually just leave it on until it dries (10-15 minutes). When using it as a spot treatment, I put a little dab over the pimple and leave it on overnight. How much does this recipe produce, like in oz? I have a jar from a previous moisturizer that I was going to use, but I want to make sure it will all fit in the jar. I believe it makes approx. 6-8 oz. I am allergic to chamomile tea and was wondering if I could just use green tea or some other type of tea instead. Green tea is a great substitute! Just make sure it doesn't have an added artificial flavors. How many times a week should I use the mask? I use it about once a week, but depending on how your skin is (dry, combo, oil) I would say any where from 1-3 times a week is good. I probably wouldn't use it everyday, as it might just dry out your face and encourage your skin to produce more oil to counteract it. Can I use aloe juice instead of aloe gel? I haven't tried this, but I don't see why not. The only thing I would recommend is maybe cutting back on the amount of tea you add, otherwise the consistency will be too watery! This may sound weird... But I just made the mask and took it out of the fridge and I can't seem to get it to stay on my face. When I try to spread it on it just slips off. Has this ever happened to you and/or do you have any suggestions? This is most likely happening because it is too watery. Try adding more of the powdered clay until you get the right consistency. Use a whisk to mix it. Next time you make it, try adding the tea a little at a time and test the consistency on the back of your hand. This happen to me I think also. I just made it and it didn't seem to mix very well. The tea and oils didn't seem to mix it to the power very well. I mixed it as best I could and put it in a container and placed it in the refrigerator. I have not used it yet from the refrigerator to see if it would stick or night. I did use some of the left over in the bowl and it seemed hard to spread on my face. Also I rinsed it off after it dried on my face and there was still a lot on my face left behind. You could see the charcoal all over my face. I had to use a cleanser to get it all off. I'll let you know how it is when it comes out of the refrigerator. It can be messy so be careful. I would recommend mixing the ingredients in the exact order listed and testing the consistency on the back of your hand and either adding tea or more clay powder until you get the correct consistency. Also, use a whisk to mix everything together. The original GlamGlow does not rinse off easily either. For these types of masks I use a washcloth and hot water to remove the mask! My mix also had a weird consistency when I followed the recipe exactly, so I added more bentonite clay and mixed it up more aggressively. It was perfect after that. Very spreadable. Would this work for back, shoulders and chest? I don't see why not! Give it a try and let me know how it goes! This is amazing! Thank you!! Also do you have a recipe for glamglow youthmud?? Or know where to find one? If you scroll to the very bottom of the post (I know it's a long one!) under "UPDATE" there is some information on how to make the youth mud mask. I didn't like the chunks of green tea leaves, but if you do, you could buy organic loose leaf green tea and those in as well. Can i substitute bentonite clay with french green clay? The Youthmud one has French Green Clay in it so I would think you could! Absolutely! Green clay would work great. The joy of making it at home is that you can experiment! Thanks Emily! Yes, that is correct it is 1/4 cup. What does this mud mask do? It deep cleans the skin. The clay and charcoal pull all of the toxins out of the pores and then added boosters help erase fine lines and discoloration. The aloe and oil help moisturize. It's a great all-in-one mask and the results are visible quickly, which is why the original one has such a cult following! 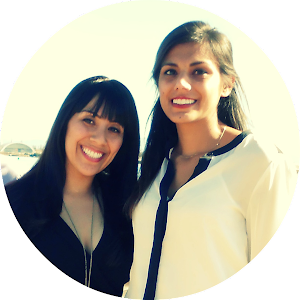 Calcium Bentonite clay or Sodium Bentonite clay? Excited to try this! Half a tablespoon is equivilant to 8 capsules, crush the carbon crystals it makes it easier to mix later. Am liking it so far but wondering if it helps draw out blackheads or what you reccomend for them. Hi Ranae - the mask is supposed to draw out the blackheads a little bit each use. Over time your face should be squeaky clean! I also really like the Biore strips for blackheads. Hi Anthony, I purchased mine from Sprouts but I knwo you can also find it at Whole Foods and probably any other specialty health foods store. I tried this recipe twice, and I don't know what I'm doing wrong but when I pour my tea in the mixture, the charcoal stays on top... it doesn't mix with the rest... If someone has any tips I would really appreciate! I want to try this mask so bad! About how much did you spend total on the ingredients? Joanna, I don't think there is, I've been searching the internet high and low on that one! What if you don't have a glass container? I have small plastic ones. Where do you find small glass containers? I'm not sure if you've heard otherwise since, but biore strips can really mess up your skin. The adhesive and pulling can stretch out your pores and it's really too aggressive for such sensitive skin as your face. I always loved that instant gratification of seeing all the junk, but your pores will fill right back up, as those strips aren't a long term fix. Obviously do whatever you want, but I just wanted to give a heads up if anyone wasn't aware. I just made this mask and have a few tips. I used fresh aloe vera from leaves. I am storing it in glass jars I found at whole foods on the same shelf as the essential oils. And I used a mini cuisnart food processor to mix mine. The consistency is perfect especially since I used fresh Aloe Vera. I plan to add 10% glycolic acid or tea tree oil to mine as well. Modern advertising strategies are becoming both more aggressive and confusing. They are so aggressive that you could hardly resist the sales offer without first truly understanding the dynamics of skin condition.